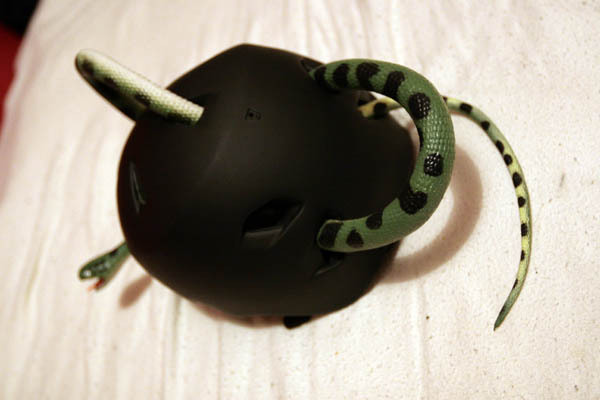 Toward the end of March I decided to make a “unique” bicycle helmet, because I’m not a big fan of wearing bicycle helmets, but also not a big fan of paying fines to the police for not wearing one. 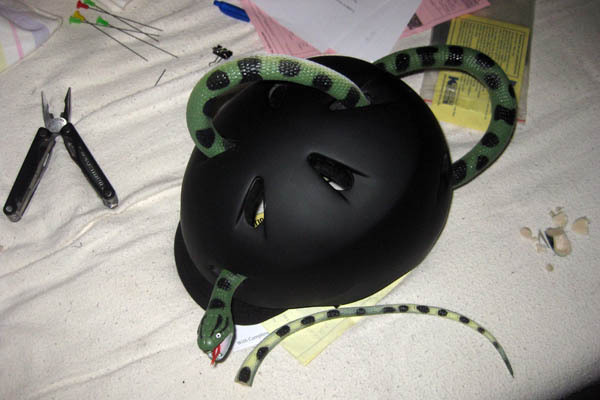 If I have to wear a helmet, it might as well catch people’s attention, right? 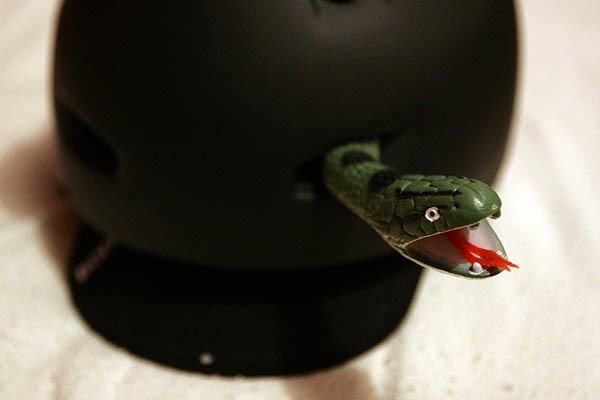 To this end, I bought a helmet with lots of ventilation holes, and got a toy rubber snake from my sister. 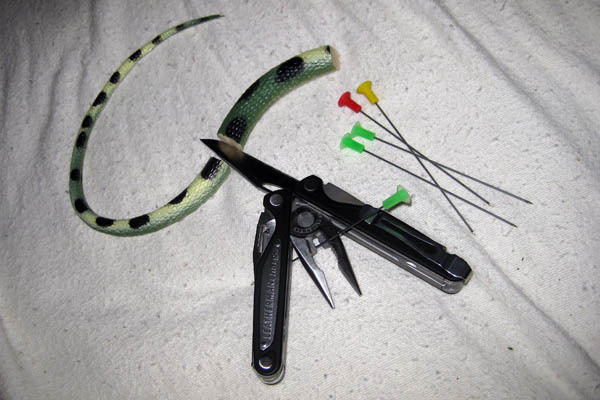 I used my leatherman to cut the snake into pieces which could be inserted part way into the ventilation holes. I also used the leatherman to cut some of my blowdarts into various lengths, to hold the rubber snake sections in place in the helmet. The finished product got LOTS of comments as I cycled around Vancouver, including a few screams from small children clinging to their parents, and a “Whoa dude, sick helmet!” from a group of teenage skateboarders. Mission accomplished.